-To support the vehicle jack, are not allowed to enter the bottom of car operate! Must use safe support, can enter the vehicle operation. -Avoid overloading the use of! 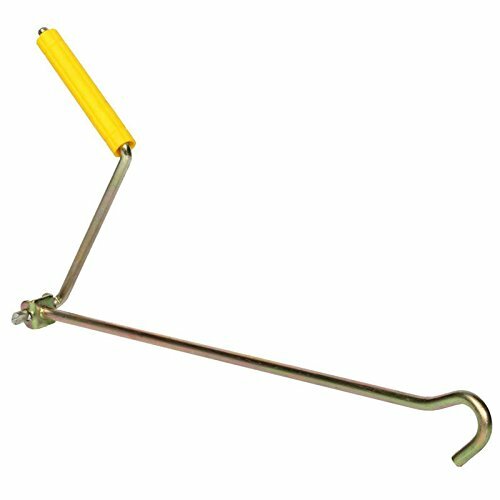 Replacement jack handle, adequate in strength and durable. It also can be folded, allowing it to easily and unobtrusively store in any vehicle.. Compatible: for car Scissor Jack Lifter with single hole. This 1 piece design jack handle replacement is much easier to use and has zero flex when turning the jack when the cranking gets difficult. Plus you don't have to worry about the 2 piece handle separating while you are busy cranking. If you have any questions about this product by ReFaXi, contact us by completing and submitting the form below. If you are looking for a specif part number, please include it with your message.